Eyebrows are the first thing people notice. A thick, heavy brow will focus attention on just the brows while a pencil thin brow will draw attention to the top half of the face. 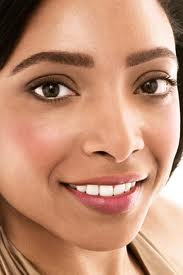 The part people want focus on is the eyes, and having a well-groomed brow will do just that! Even if makeup does not play a big role in your daily routine, maintaining your eyebrows is essential. A well-groomed, natural eyebrow and arch will make you look younger where an overly groomed high arched brow will add years to your face. 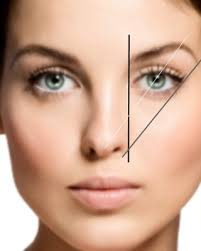 To start, place a pencil against the right side of your nose, this is where your eyebrow should start. Next place the pencil against your right nostril and move it diagonally to the outer corner of your right eye, this is where your eyebrow should end. To find the shape of the eyebrow arch, hold one end of the pencil at the end of your nose and the other end of the pencil will run directly over your iris, showing you where your natural arch should be. Repeat for your left side. Whether you wear makeup or not, always be sure your eyebrows are well-groomed and defined. For help on finding the right eyebrow shape for your face, please visit our Esthetics students in our Spa!